If there’s one food I love, that food is fish! 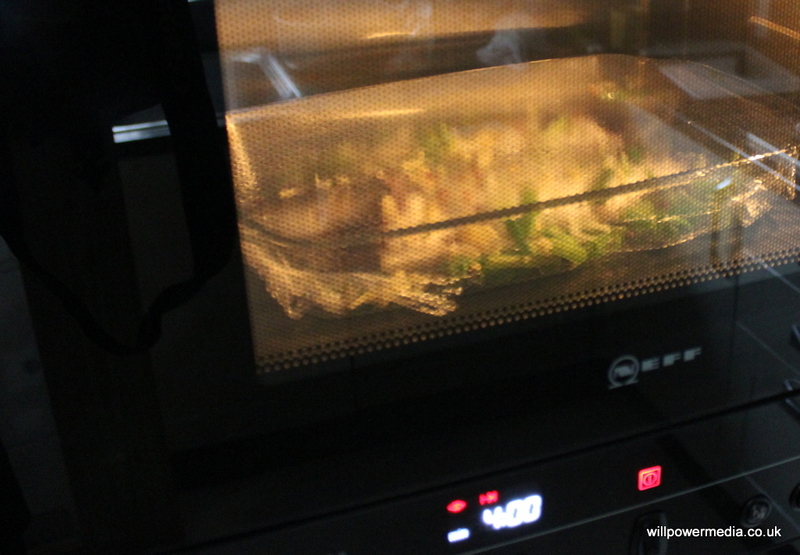 And if there’s one food that a microwave oven cooks really well, yes you guessed it… it’s fish! This microwave Sea Bass with Ginger and Spring onion is a Chinese inspired recipe. My microwave version of the Chinese classic is simple, quick and super tasty. You won’t be able to tell the difference between this and anything your favourite Chinese restaurant will serve you it’s that good! For best results when cooking most meats and fish you should allow at least around one hour for the seasonings to marinate through the food. If you simply don’t have the time then don’t worry because there are ways! 1 tbspn of crushed or finely chopped fresh ginger. Finely chop or crush the ginger. Microwave Sea Bass with Ginger and Spring Onion goes well with plain rice. A beer or white wine are the best drinks to have with fish as they clean your taste buds so that you can fully enjoy the flavour. After the fish is cooked, use your knife to cut of the head and then cut the fish down the middle to separate it in two.